CrossFit Brisbane: Why Train at CrossFit Brisbane? Why Train at CrossFit Brisbane? CrossFit Brisbane has highly qualified, experienced and motivated trainers. 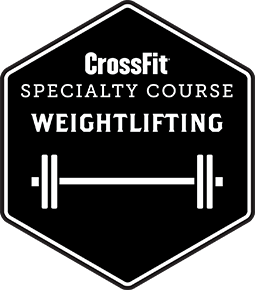 We are an authentic CrossFit gym committed to Greg Glassman’s mission of seeking virtuosity in our movement standards and the quality of what we do. On this we are uncompromising. This means that you will learn correct technique and constantly be challenged to find intensity. You will become strong, and you will get better. Our gym is well equipped and purpose-built for CrossFit. You will find a great community of friends sharing the same fitness journey. Our members range from elite athletes to weekend warriors to mums & dads. There are lots of different fitness and experience levels, and also lots of different reasons why people are training. We are bound by striving to be better, and no matter what your story, you will find people to train with at your level. The training is hard, but we are all in it together! I am not a competitive crossfitter and I struggle to fit my training in around the demands of my work and family but I have stuck with the programming for the past 5/6 years as best as I can with the ongoing help and encouragement of you and your trainers. I can't do everything and I scale all the time but, I keep showing up and pushing on believing in the process. I am 47 years old and have just been on a long planned, hiking holiday in Tasmania. I was able to, with no specific training, confidently carry a pack along a sloping beach, sometimes barefoot, over rocks and through rivers without problem. I kayaked for the first time for over 2 hours without fatigue or muscle soreness the next day. I ran down a mountain track in my togs and hurled myself into the freezing ocean without restraint or concern for how my body would deal with the challenge. I did handstands on the beach, I helped other people to navigate the physical and mental challenges of our adventure. I was comfortable with being cold, wet and challenged as I am trained to embrace discomfort for its benefits. I felt strong, healthy, happy, adventurous, alert and alive and as such, had the trip of a lifetime. For me, this is what CrossFit training is about - it gives me freedom to explore, play and live my physical life to its fullest. It's a great gift ... thank you."